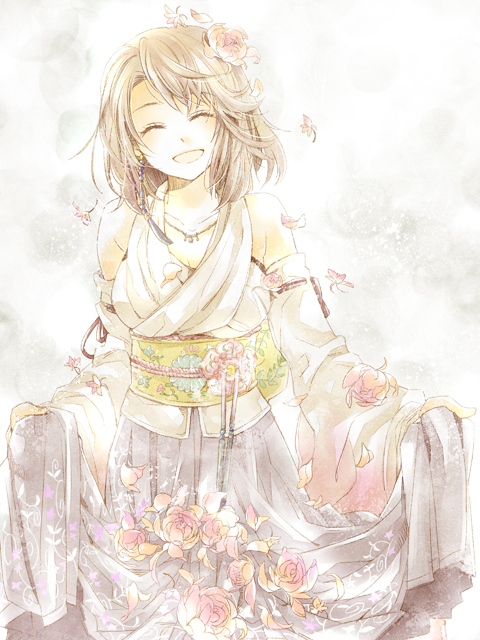 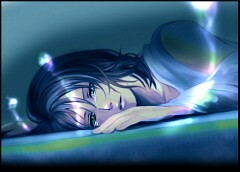 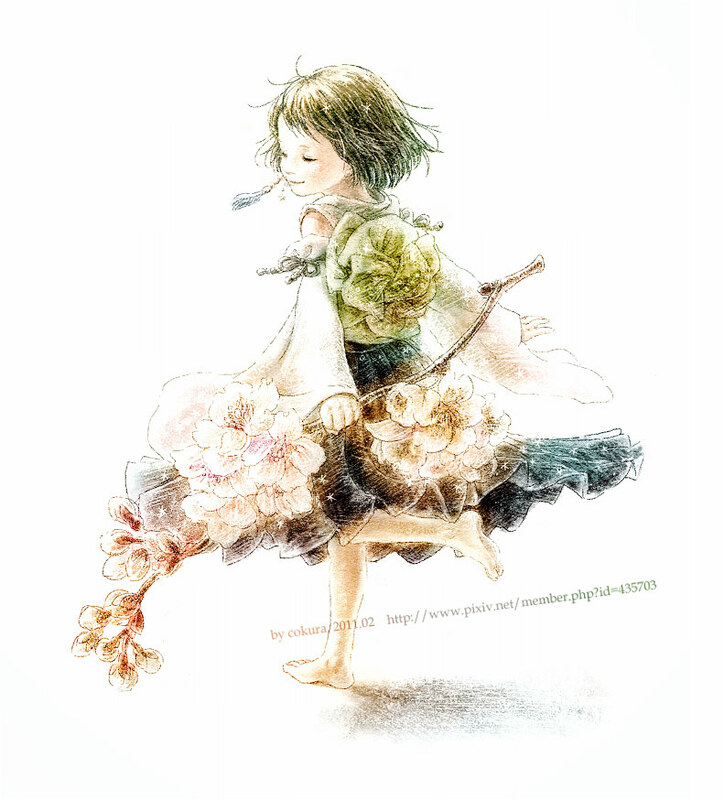 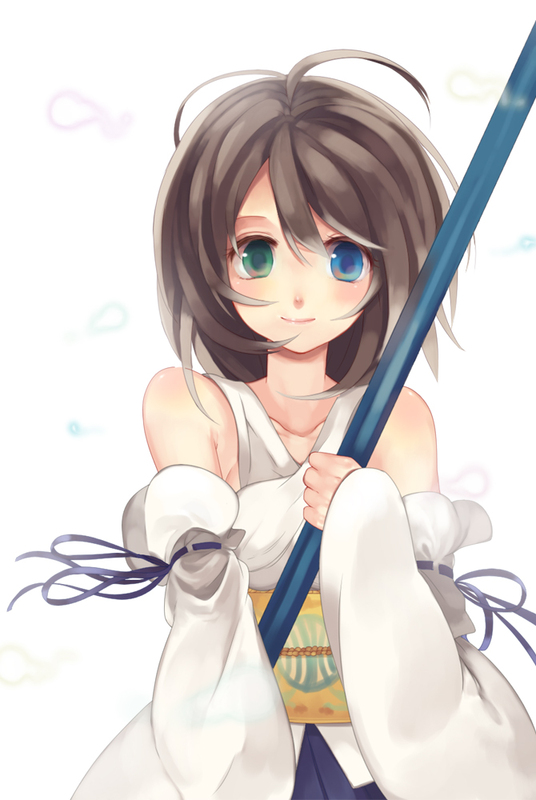 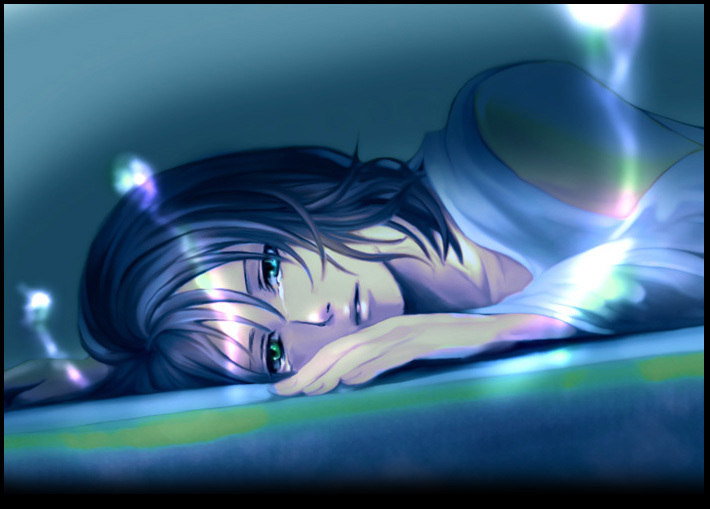 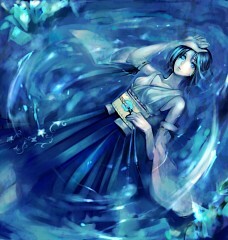 267 anime images in gallery. Tagged under Final Fantasy X, Dissidia, Theatrhythm: Final Fantasy and World of Final Fantasy. 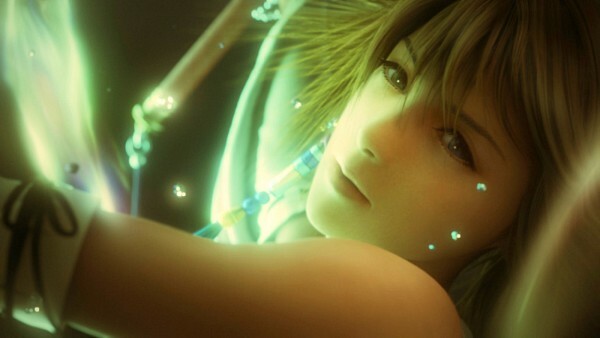 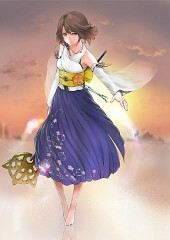 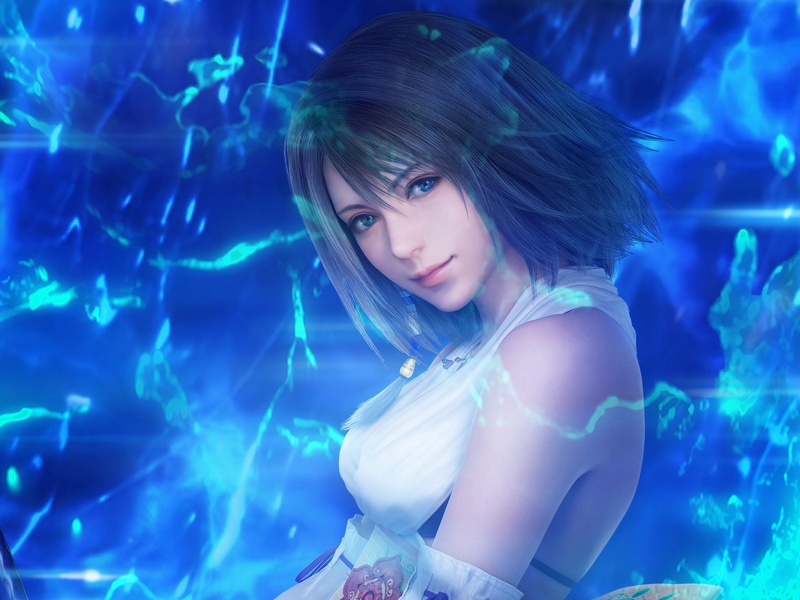 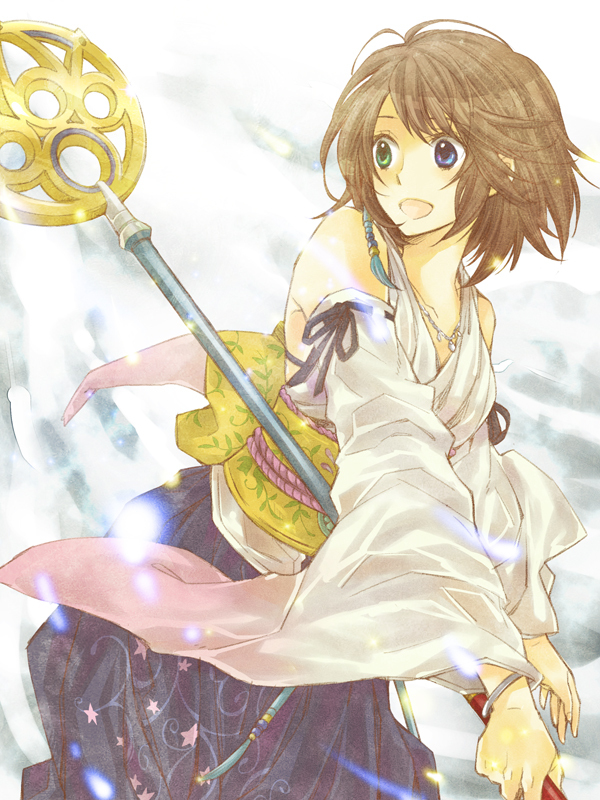 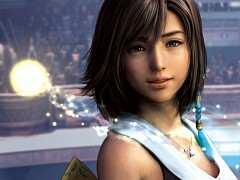 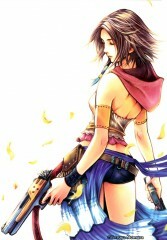 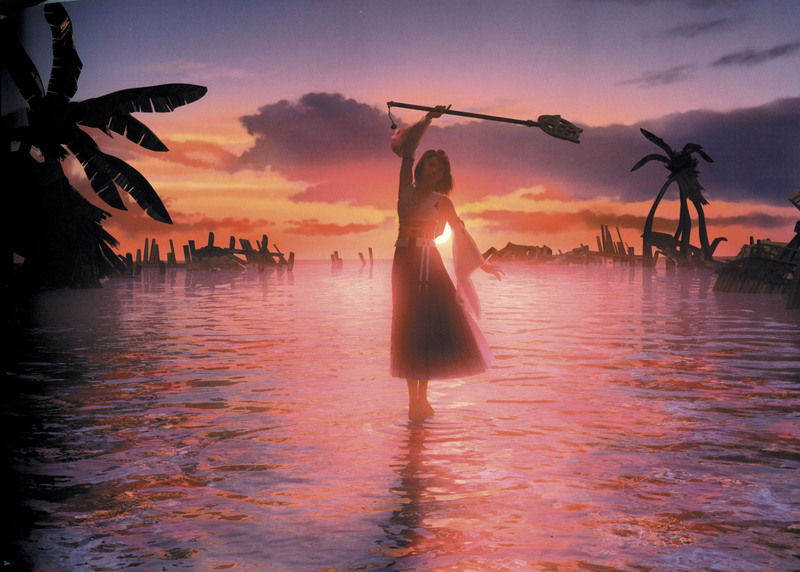 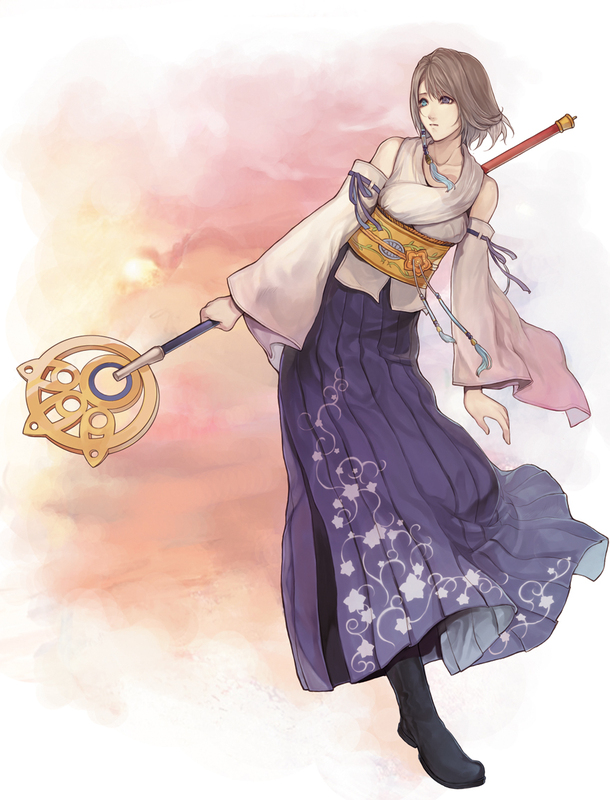 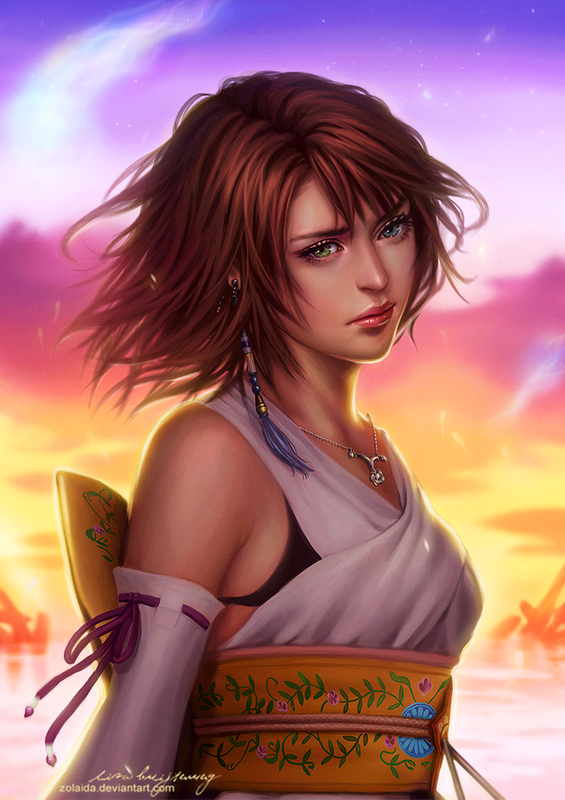 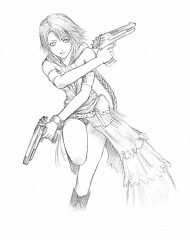 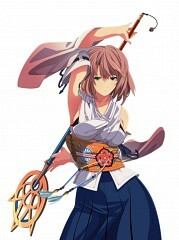 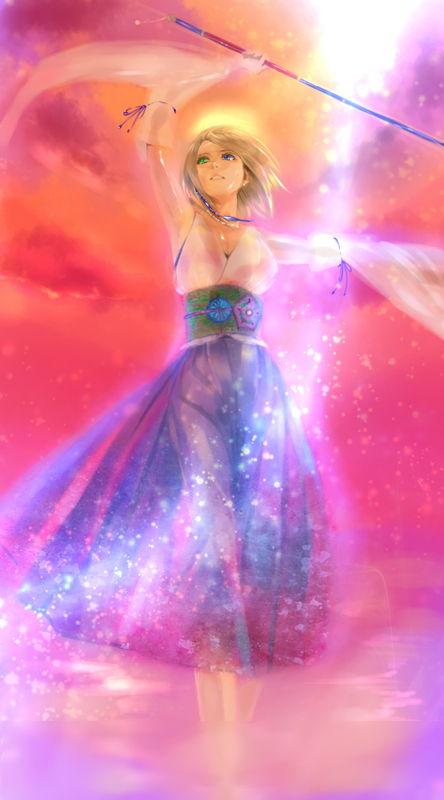 Yuna is the female protagonist of Final Fantasy X and the main protagonist of Final Fantasy X-2. 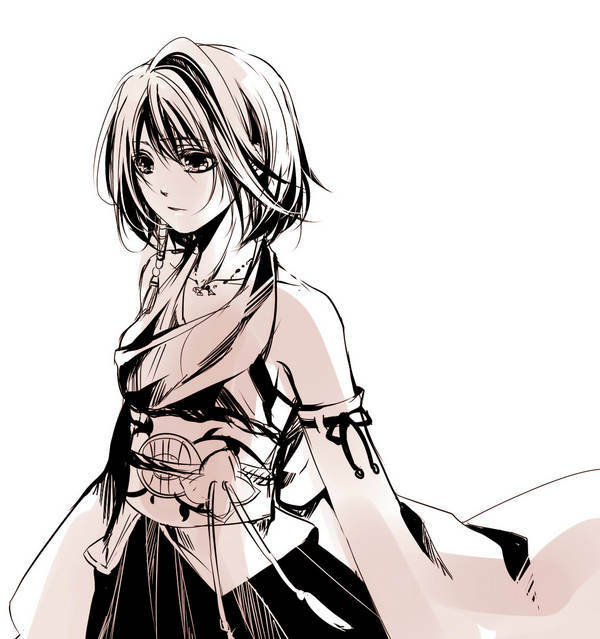 She is the daughter of High Summoner Braska and an unnamed Al Bhed woman, who died when Sin attacked her ship at sea. 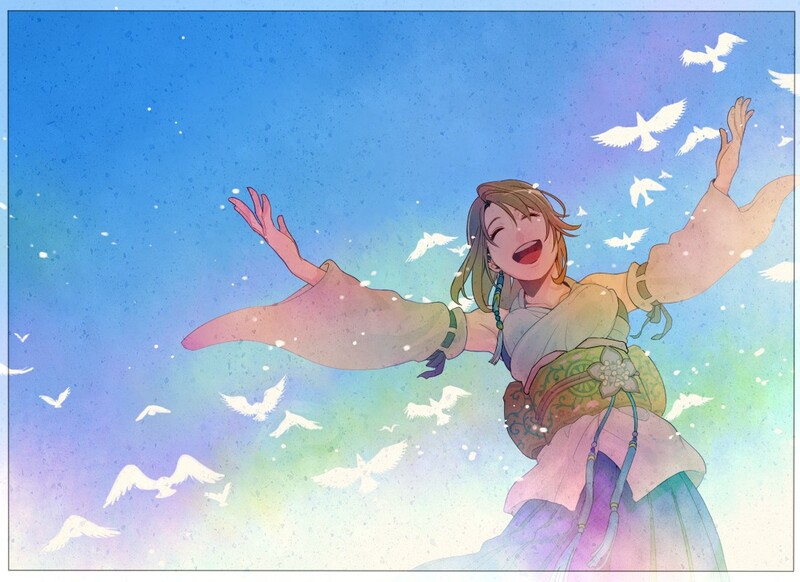 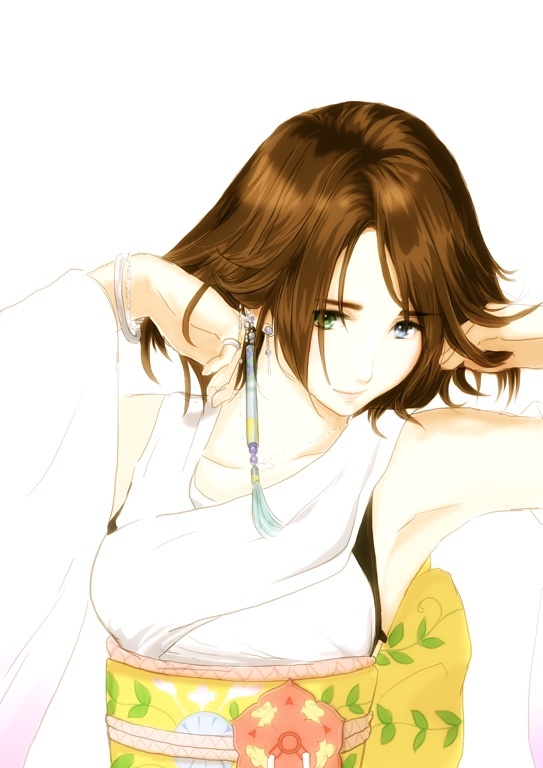 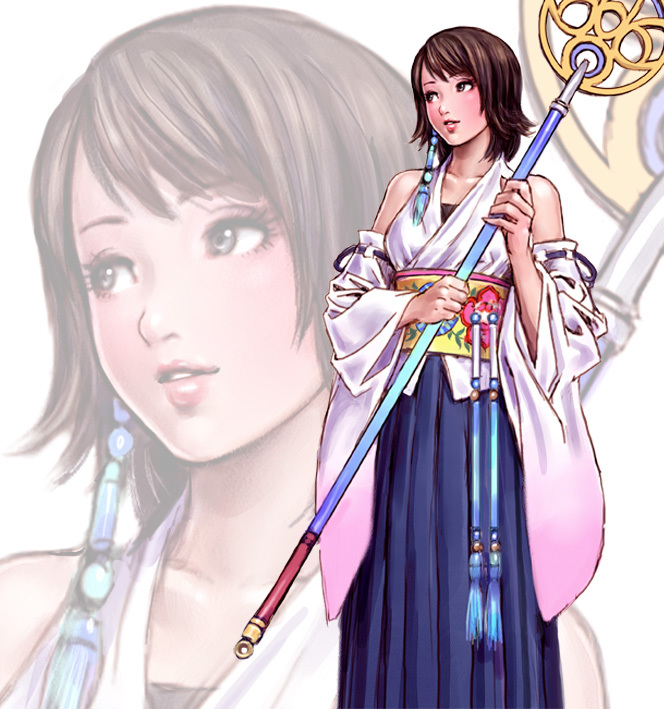 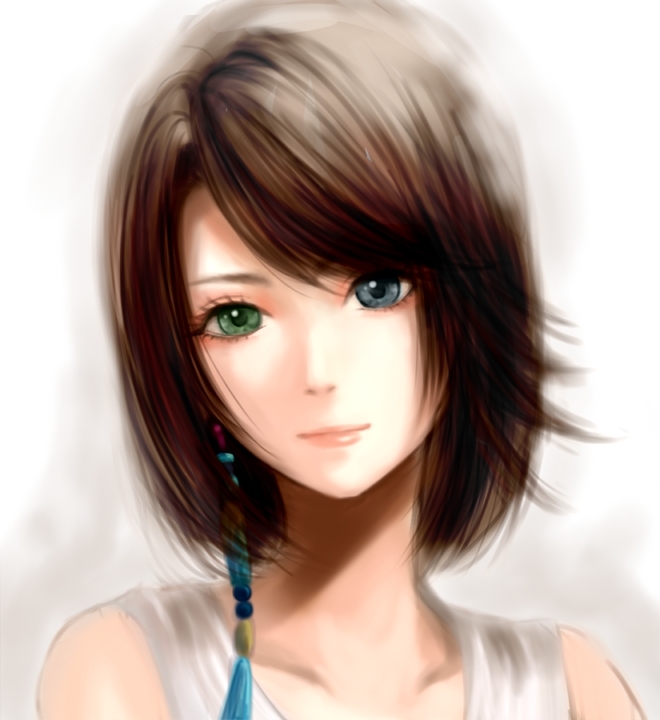 Yuna's mother was the sister of Cid, who is the father of Rikku and Brother, Yuna's cousins. 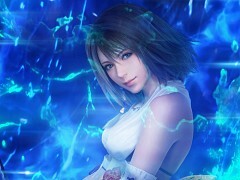 A powerful summoner like her father, she embarks on a quest in Final Fantasy X to expel Sin; meeting Tidus, who teaches her that there is more to life than sacrifice. 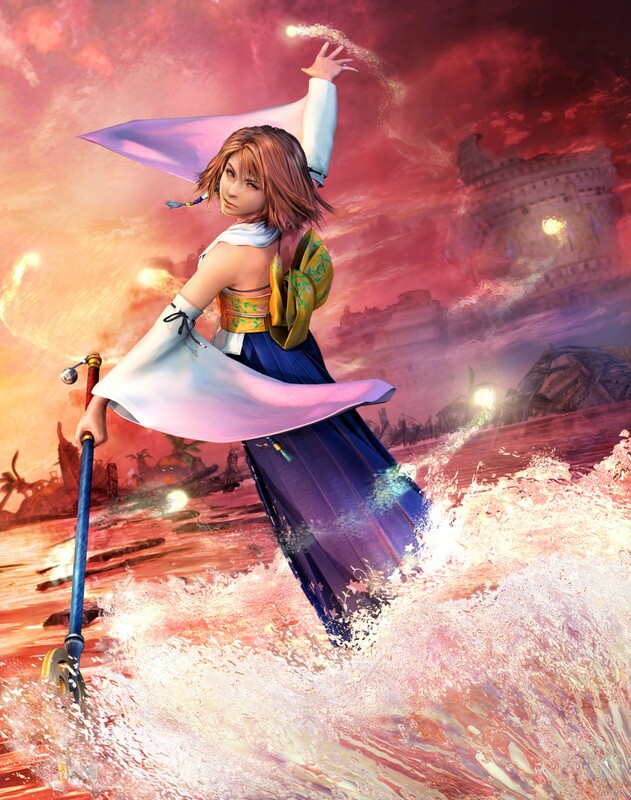 In Final Fantasy X-2, she embarks on another quest, to uncover the mystery behind a movie sphere containing the image of a man resembling her lost love.